This Friday is especially exciting because it's Memorial Day Weekend! 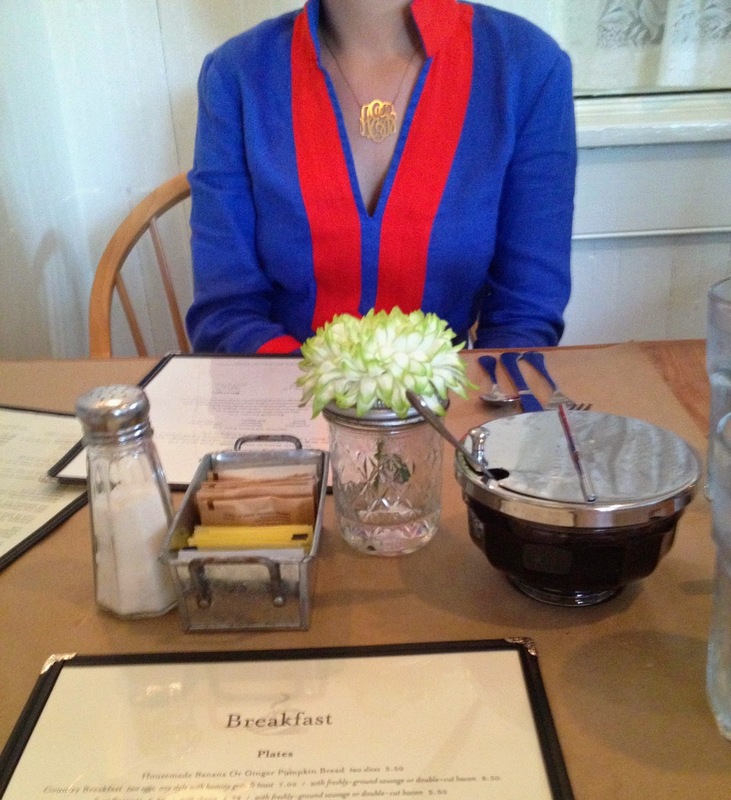 Today I am finally getting around to sharing my Charleston dining post with y'all. Things have been good, but hectic, around here so I'm glad I was finally able to sit down last night and give this post the attention it deserved. Our first morning in Charleston, we visited the Marion Square Farmer's Market. The crepes at the market came highly recommended so I was excited to give them a try. I had the ham, egg, and cheddar cheese crepe, but also added diced potato to it! Bryce and I also split a nutella chocolate crepe. My verdict on this experience was that the crepes were very good, but you should expect quite a wait. If you're starving, a crepe might not be your best bet at the Farmer's Market! Bryce got food from another vendor and ate it, all in the time that I was waiting in line for my crepe. Poogan's Porch was my favorite brunch spot during the trip. The atmosphere was charming and the food was deee-lish! We started with fried green tomatoes and she crab soup. 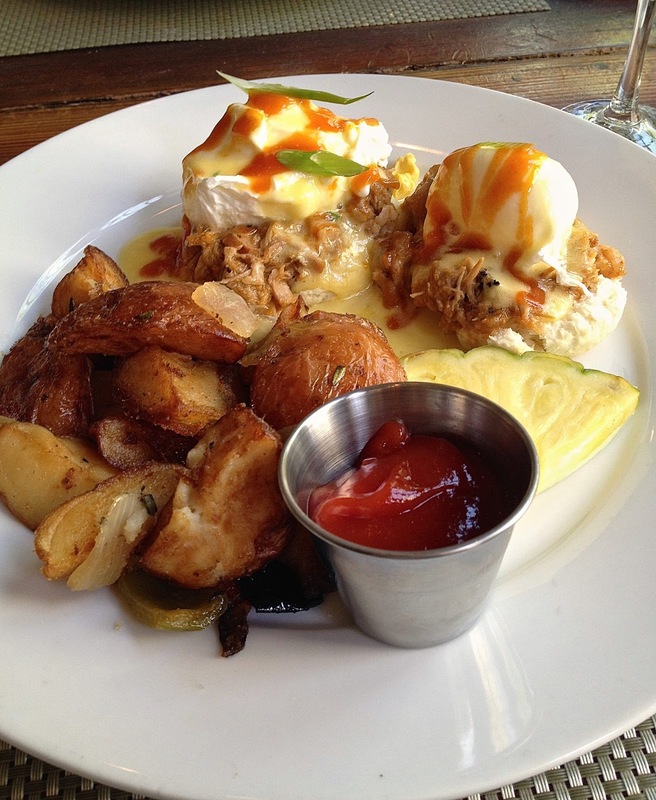 For our entrees, I had the pulled pork eggs benedict and Bryce had the chicken & waffles. Both were incredibly good and their presentation was beautiful. I highly recommend Poogan's. 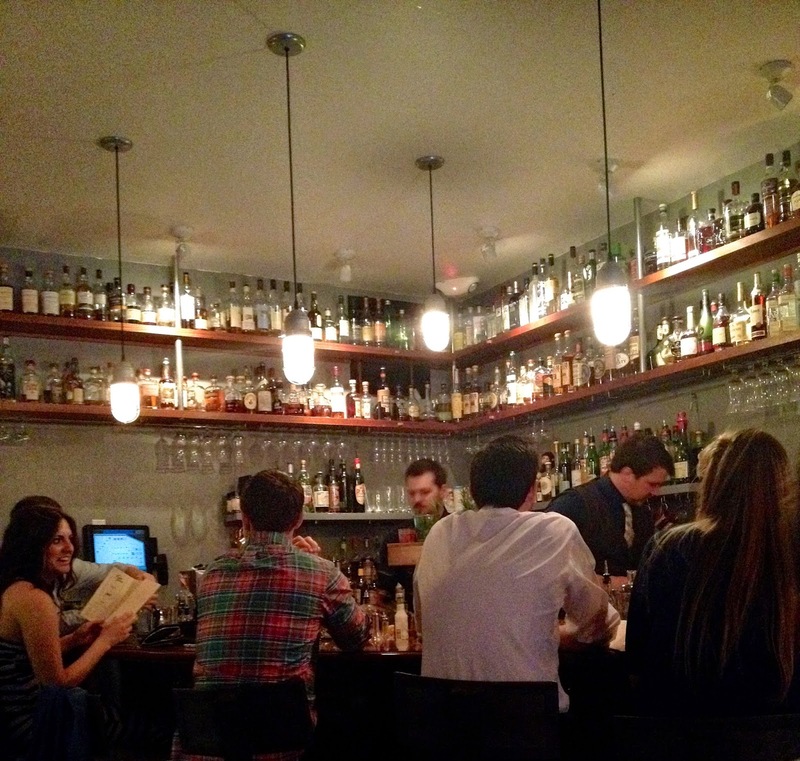 We hadn't initially planned to check out Hominy. A friend had suggested the chocolate croissants at Macaroon, however, our plans changed when we discovered they were closed on Mondays. 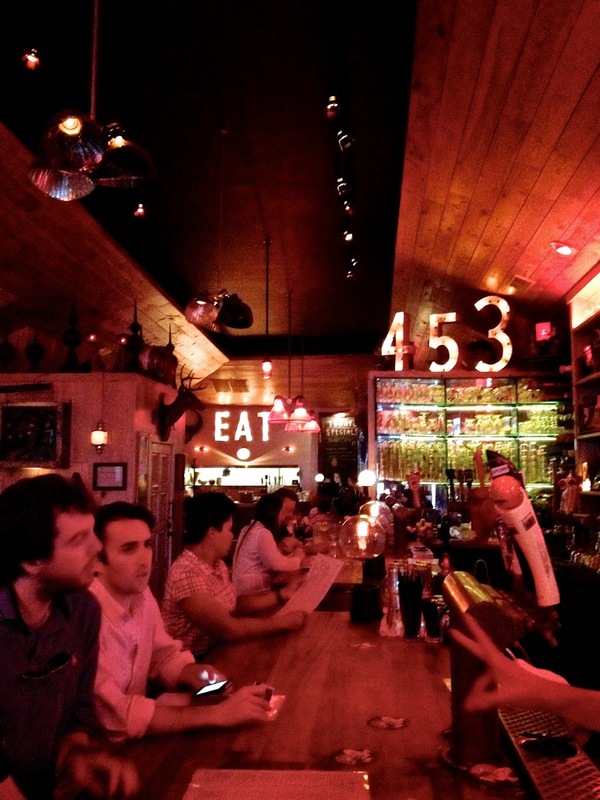 The reviews we'd heard on Hominy made it seem that it was a love it or hate it kind of place. Curiosity got the best of us, so we decided to check it out ourselves. Our verdict? We were split down the middle! Bryce ordered the huevos rancheros and said they were the best he's ever eaten. I, ordered a simple omelette and was unimpressed. My guess is that their specialty foods (like the huevos) are probably great, but perhaps their standard options (like the omelette) are more average. 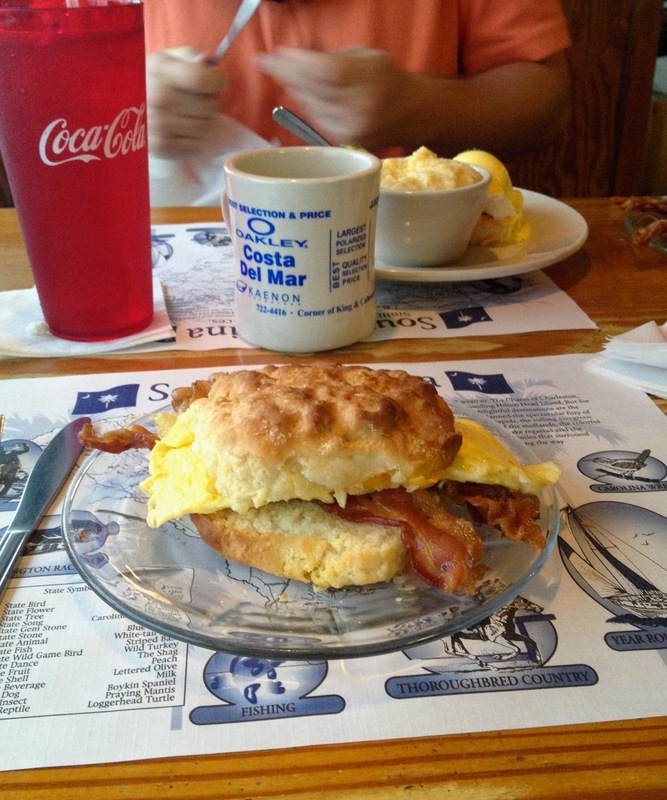 We stopped for an early breakfast at the Marina Variety Store Restaurant before hitting the road our last morning. It was definitely a hole in the wall and a spot for locals. The views of the water were beautiful and the food hit the spot! 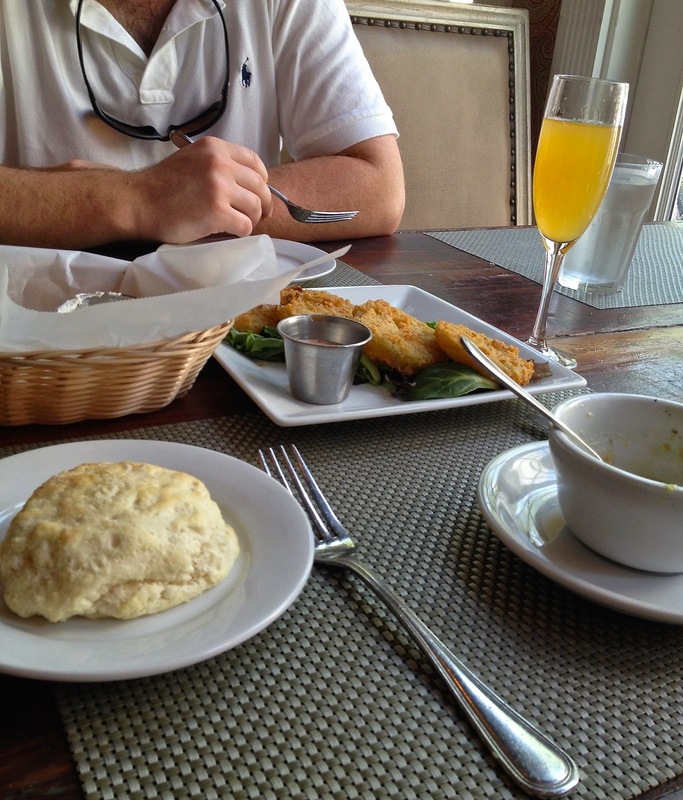 I ordered a breakfast biscuit and Bryce had the fried green tomato & pimiento cheese benedict. 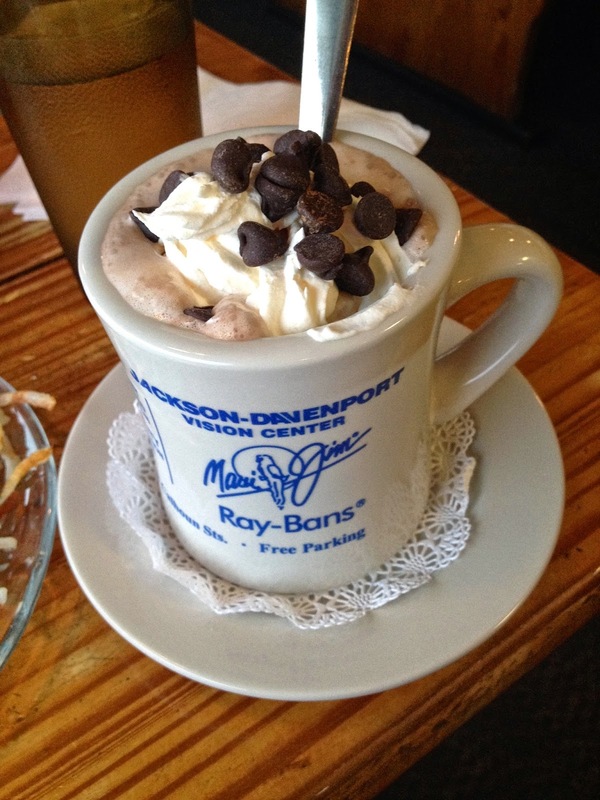 I also had a cup of hot chocolate that was scrumptious! 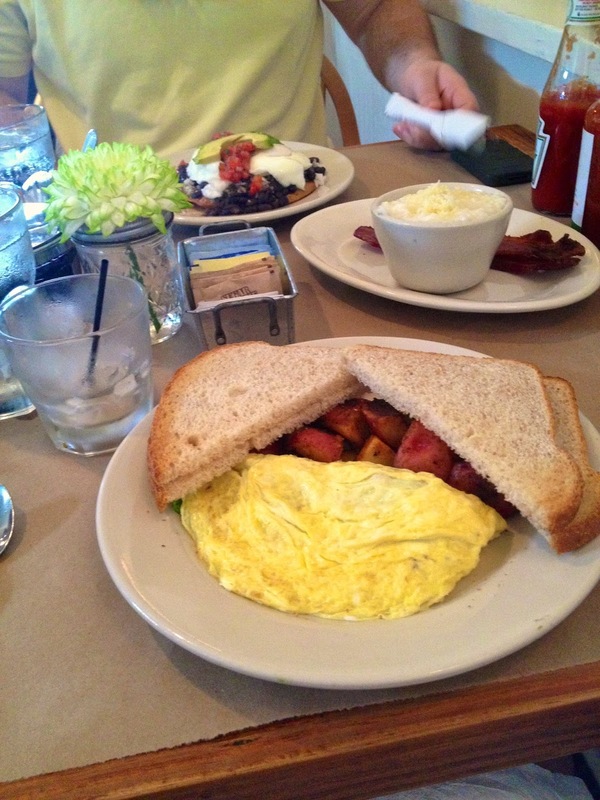 I would recommend this restaurant, especially for a day that you want a quick and satisfying breakfast. 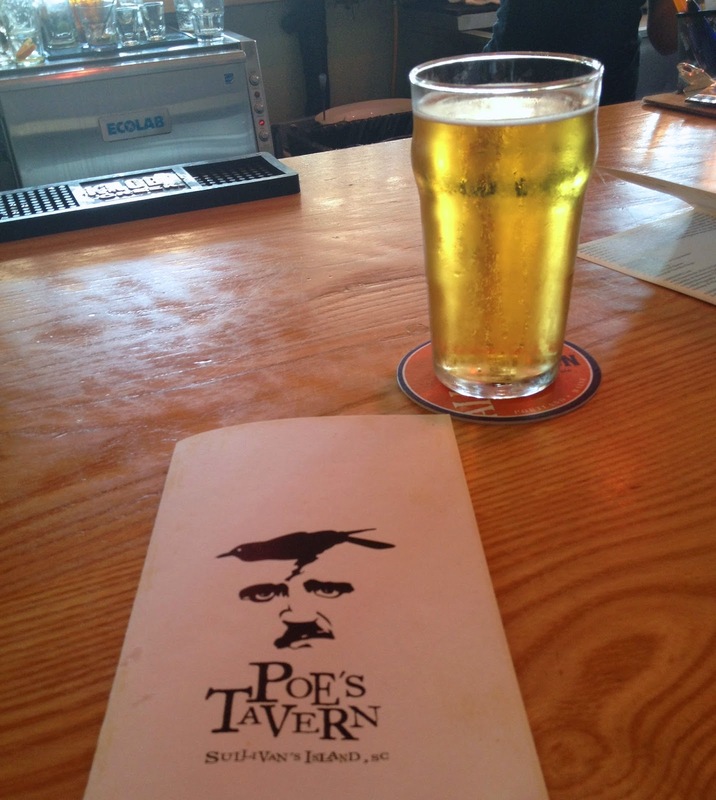 Poe's was recommended by many friends, so after lounging on the beach for a bit, we treated ourself to an afternoon snack/lunch at the tavern. Bryce is an Edgar Allan Poe fan (he was, after all, a Richmonder) so I knew he would love it. We ordered the cheese fries and the spiced yellowfin tuna fish tacos. The cheese fries were honestly a bit of a disappointment, but, the fish tacos were delicious! 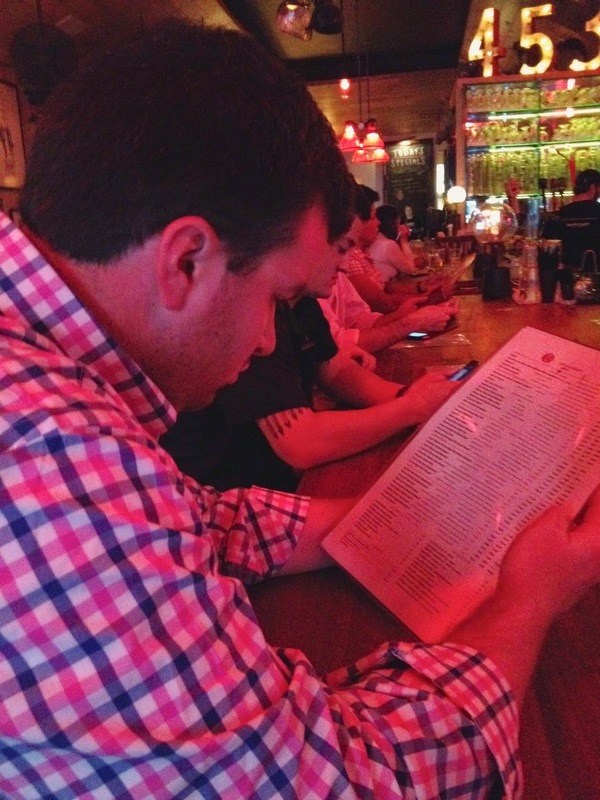 We ate at the bar and loved the laid back, yet energetic atmosphere. 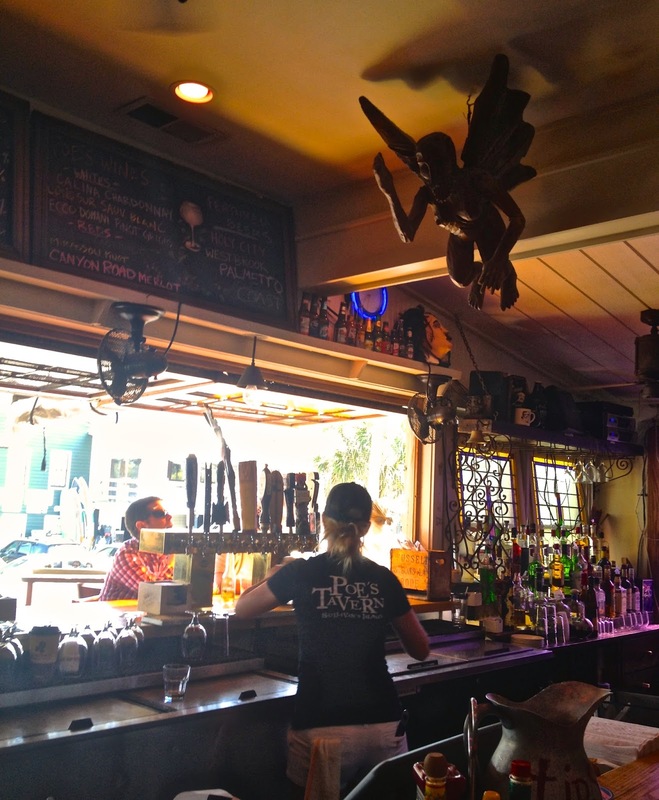 Our time spent on the beach and at Poe's was one of the highlights of our trip and I would definitely suggest visiting the Poe's Tavern when on Sullivan's Island. Our first night, my flight got in pretty late so we decided to just walk to Rue de Jean, which was right by our hotel. The French restaurant reminded us of Can Can, the location of our first date, and did not disappoint. We started with the mussels in the pistou sauce, and I kid you not, they were the best mussels I've ever eaten. 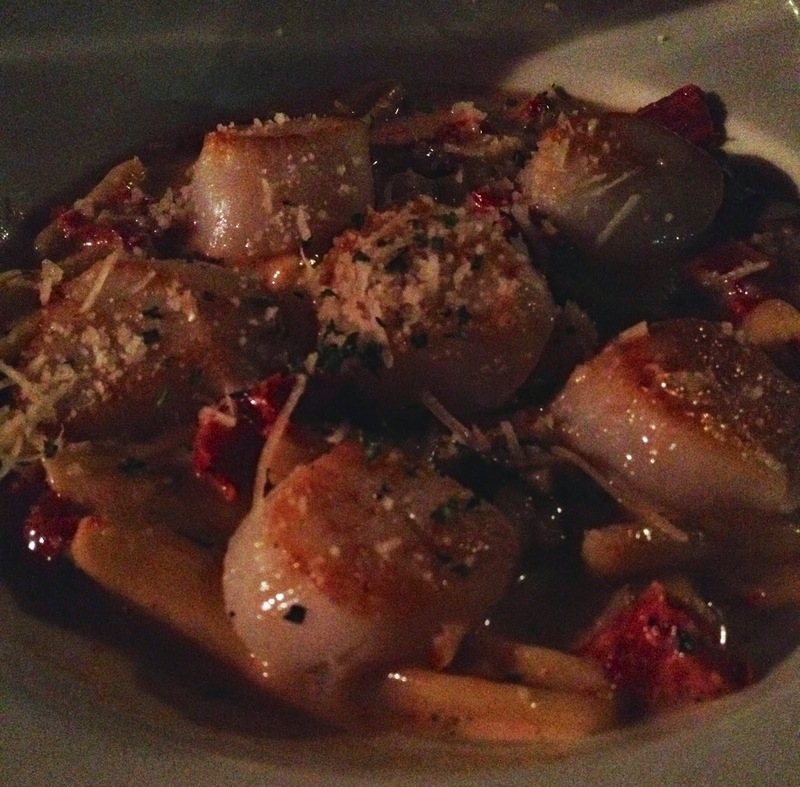 As an entree, I had the cavatelli pasta with seared scallops and was equally impressed. The fusion of flavors was incredible. Bryce had the braised rabbit, which was also delicious. I would definitely recommend Rue de Jean (and think that Can Can could take a few pointers from them)! Our second night in Charleston we had a double date, with blogger Cambron, at Magnolia's. This was my least favorite dinner in Charleston, but that's not to say it wasn't good--rather, all the restaurants where we ate were incredible, so this is just the least incredible, in my opinion. 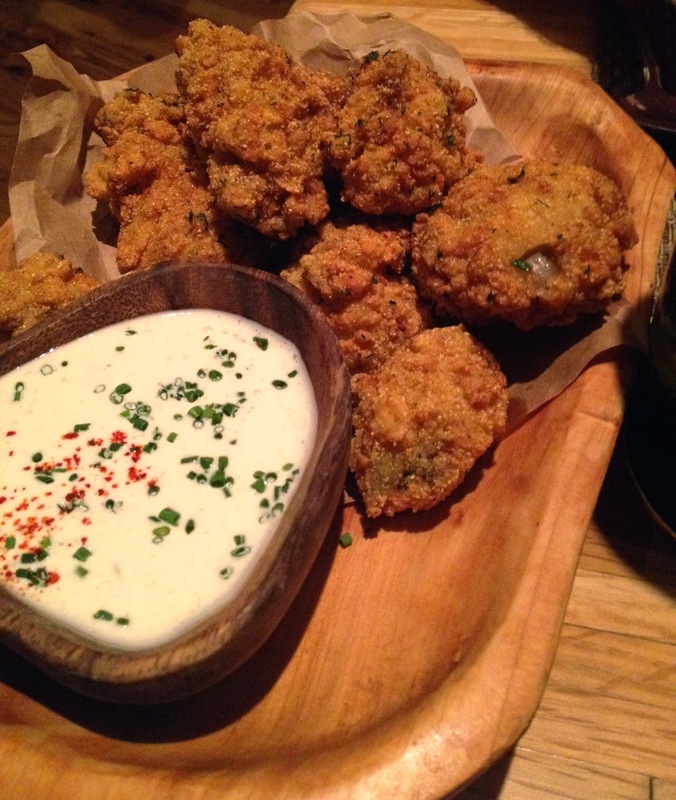 We started with two appetizers: the fried green tomatoes and a pork belly special. The appetizers hit it out of the park. They were AH-mazing, especially the pork belly special. 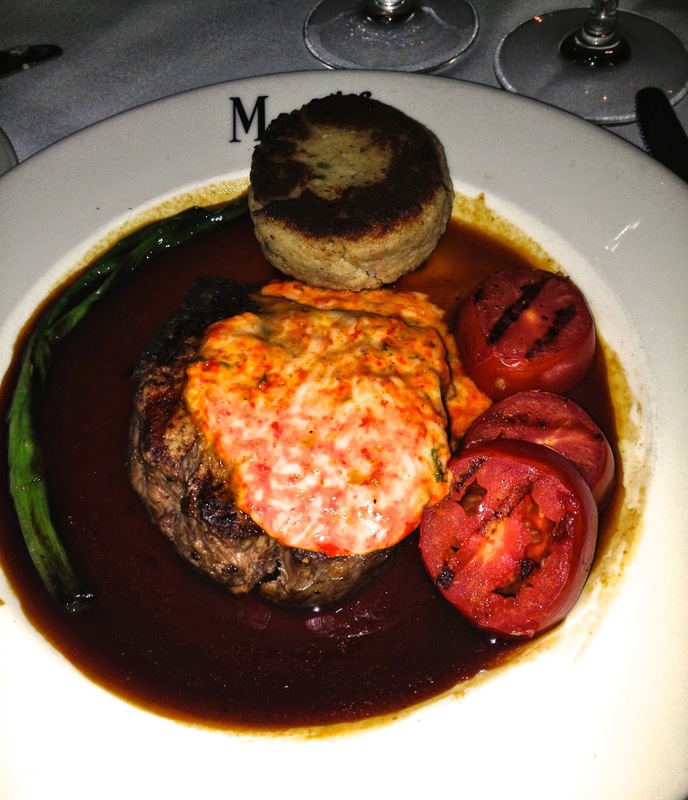 I had the filet as an entree which was topped with pimiento cheese. The cheese was melted on top and I think I would have enjoyed it more if they had cooked the filet and then just topped it with a spread of pimiento cheese. Bryce had the shellfish over grits, and really enjoyed it--the creamy sauce was heavenly! Finally, we completed the meal by sharing the warm strawberry shortcake. 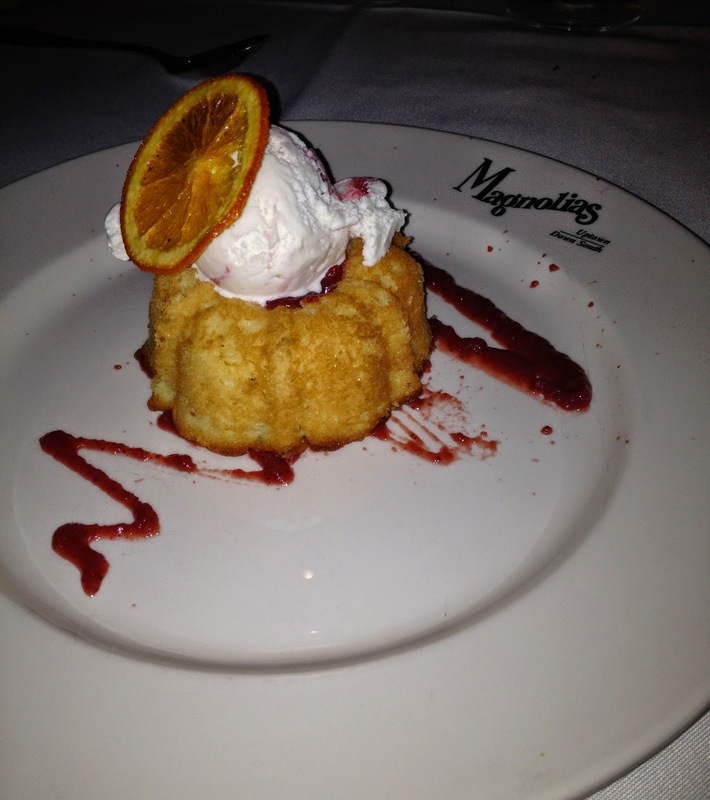 The cake itself was a lemon buttermilk cake, and the combination of strawberry and citrus flavors was wonderful. The Macintosh was our favorite dinner of the trip. Everything we ordered was well thought out and unique, and the service was second to none. We started with drinks at the bar. I tried the Paloma Flower, which a friend had told us about. 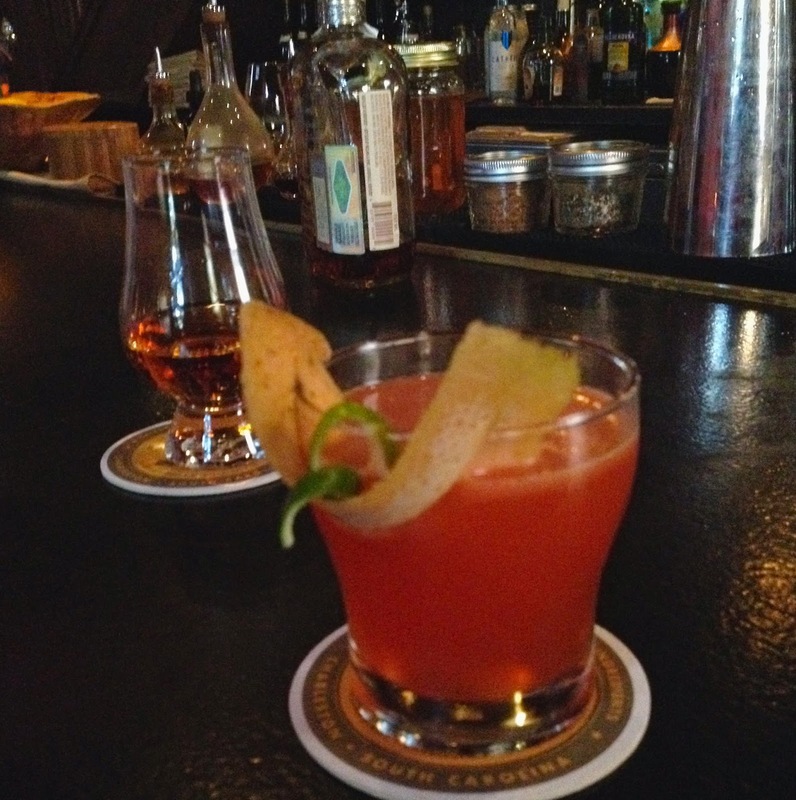 The drink is garnished with part of a flower that is used to make pepper. Before sipping the drink, you are supposed to take a small bite of the flower. 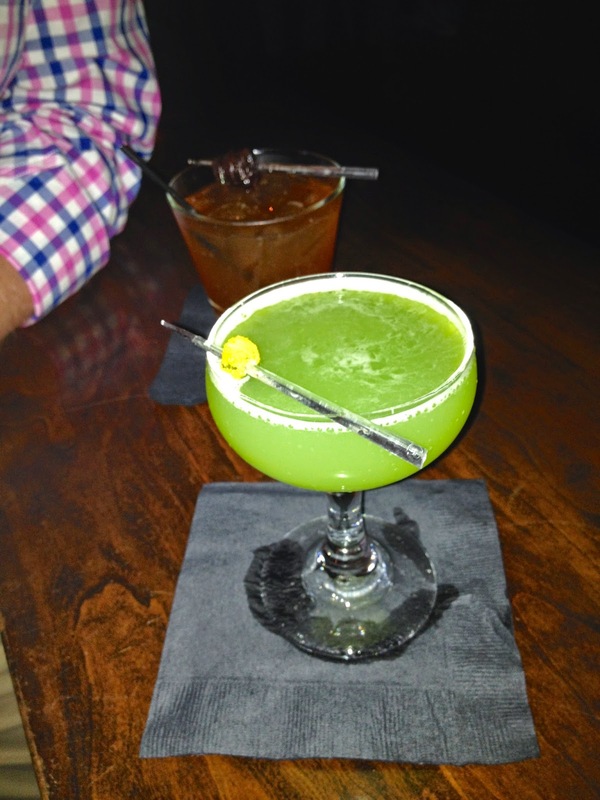 The drink, then reacts with the flower and creates a sensation in your mouth, similar to that of pop rocks. It was definitely an interesting experience! Once we were seated we ordered the sauteed scallops appetizer. I'll admit that when they first served them to us, I was a bit disappointed by how few scallops were on the plate. Despite the portion size, though, they did not disappoint. In fact, they were absolutely scrumptious. 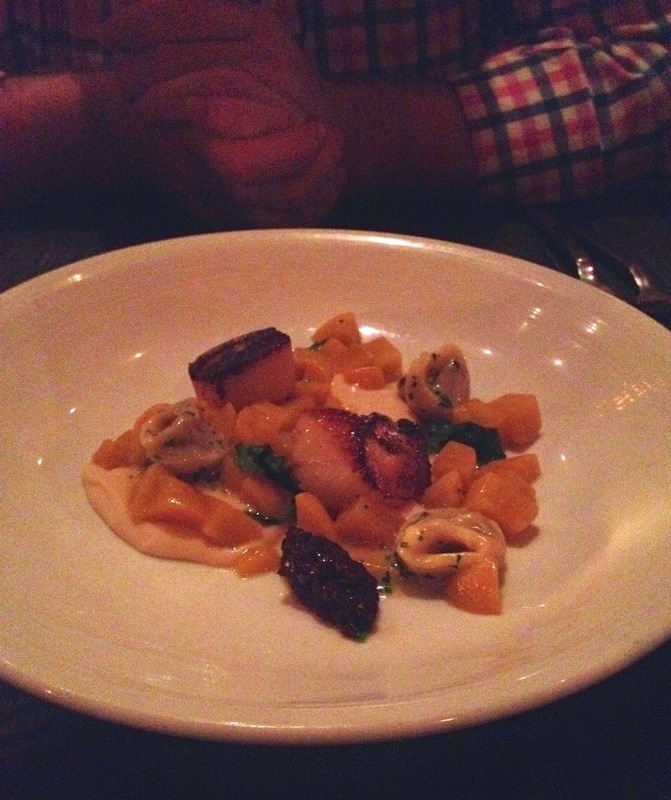 They also came with roasted beets, bacon tortellini, beet mostarda, turnip greens, and turnip puree. We did everything shy of licking the plate. Nothing was left...it was all so tasty! 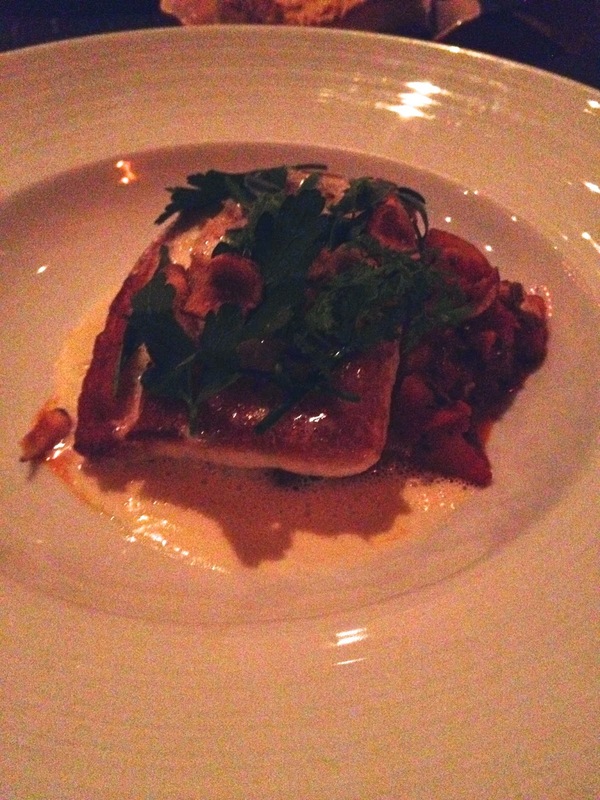 For entrees, I ordered the seared grouper. It came with sunchoke cacciatore and a country ham emulsion. The cacciatore gave it an Italian taste. Bryce ordered a duck special that was also insanely good. It had an Asian flavor. We also shared an order of the bone marrow spoon bread which can only be described as out of this world--I've had dreams about that bread! Finally, for dessert we shared the banana mousse with peanut brittle. For someone that's not a huge fan of bananas, I certainly gobbled up my fair share! It was decadent! For us what really set The Mac apart from the other restaurants was their attention to detail. Each plate was comprised of foods, sauces, and seasonings that perfectly complemented each other. When you took a bite, you wanted to take a bite that included a little bit of everything on the plate. For example, when eating my grouper, I didn't simply eat the fish and then munch on the sides separately--I literally scooped a bit of everything onto my fork at once. 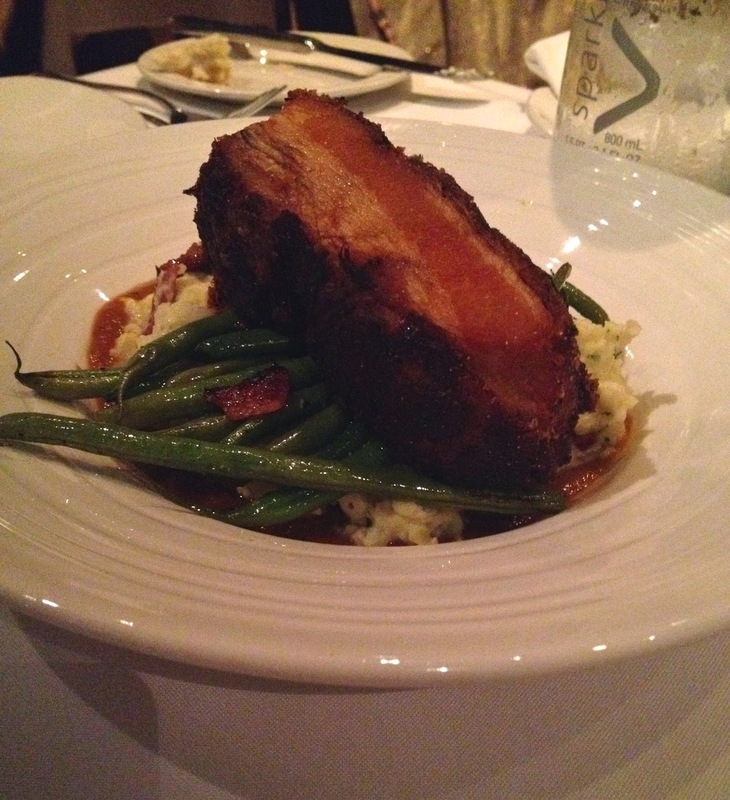 The flavors all went together so well, that in order to really experience the meal, you literally had to dig in. 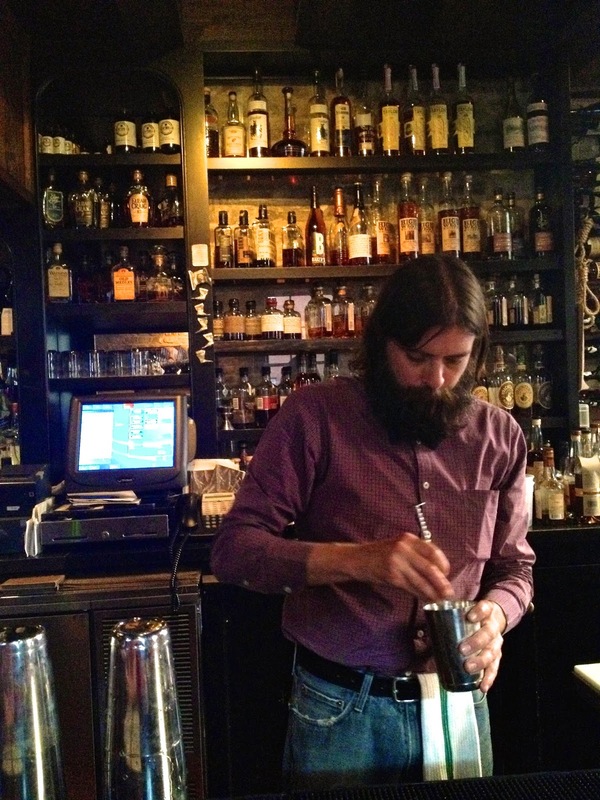 Being that Husk is one of Charleston's best known restaurants, we saved it for the last night. I booked these reservations more than a month in advance, as an FYI. Many people recommended getting a drink at the bar (which is in a separate building adjacent to the restaurant) before our reservation and we were so glad we did. Bryce proclaimed that it was the coolest bar he'd ever been to! He sipped on Husk's Jefferson's Reserve Presidential 18 Year and I had a cocktail appropriately named The Teacher's Lounge. After a drink (or two! ), we headed next door for our reservation. 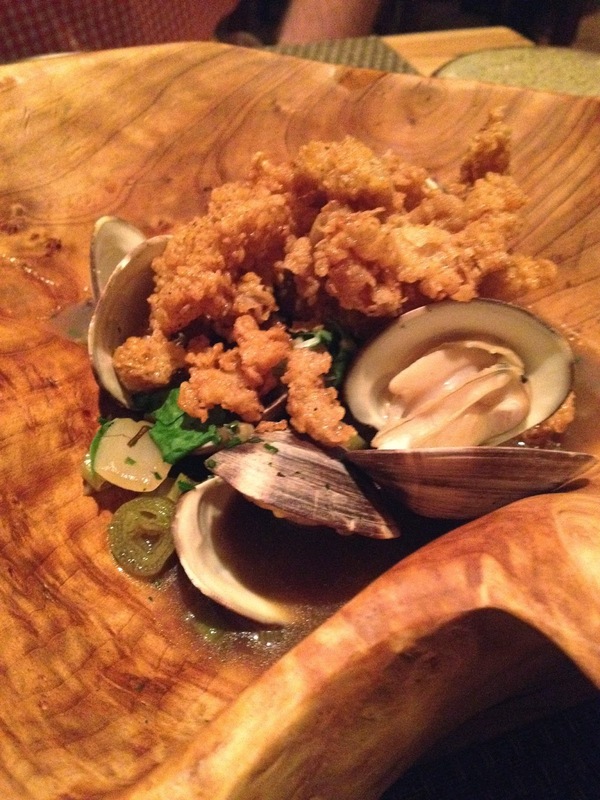 We started with the cornmeal fried oysters and wood fired clams appetizers. Husk changes their menu daily, but if you happen to be there on a day that they have the fried oysters I highly recommend them! I'll admit, oysters are not my favorite, but these were fabulous. The clams were also good, but a bit smoky in my opinion. For entrees, I ordered a steak that came with goat cheese mashed potatoes and roasted mushrooms and spinach. The steak was cooked to perfection. The sides however didn't impress me. I found the mashed potatoes to be good, but pretty average and the mushrooms were way too smoky. 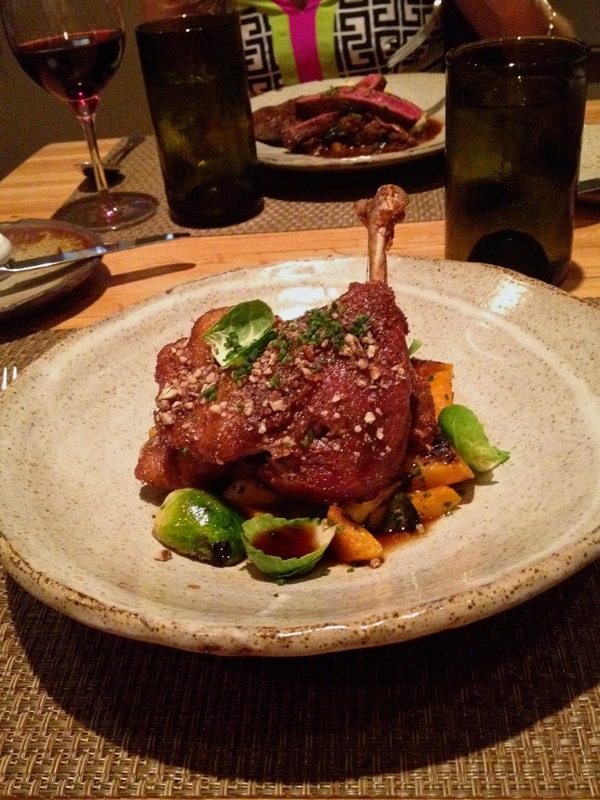 Bryce ordered the honey pecan glazed duck leg, which came with roasted brussels sprouts and butternut squash with bourbon broth. 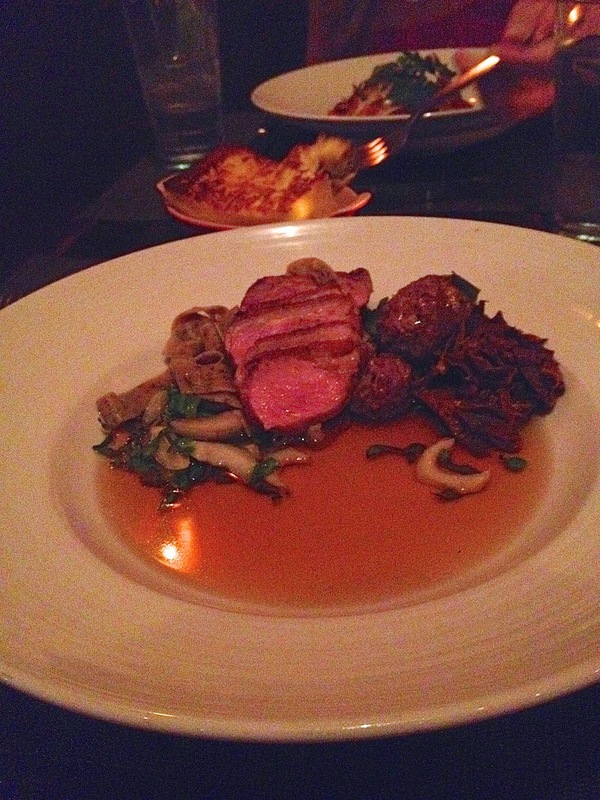 Oooh my goodness--the duck was the best duck I have ever put in my mouth. It was to die for! I probably ate almost half of it, despite having my own meal. Again, though, the sides didn't have pack the same wow factor and most of the sprouts and squash went uneaten. Finally, we ordered a side of cornbread. I am very picky about my cornbread and can't stand for it to be dry and grainy. 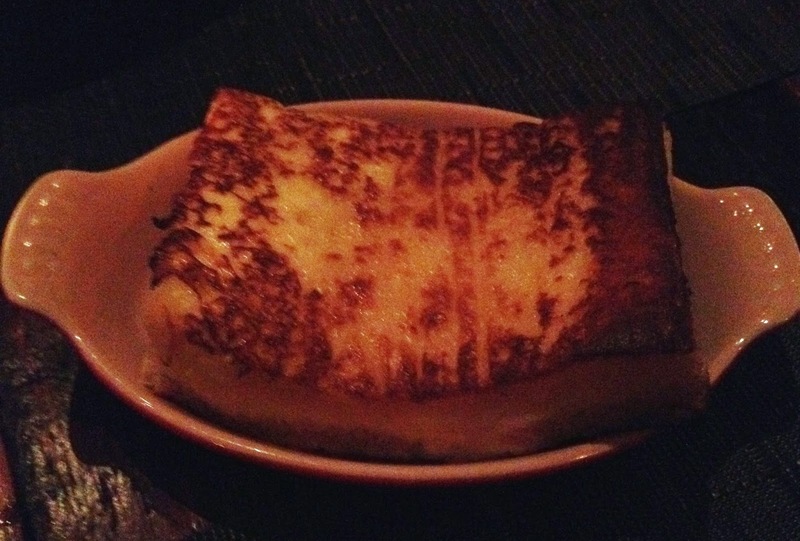 Husk's style of cornbread was that very style so it wasn't my favorite. Bryce liked it fine, however. 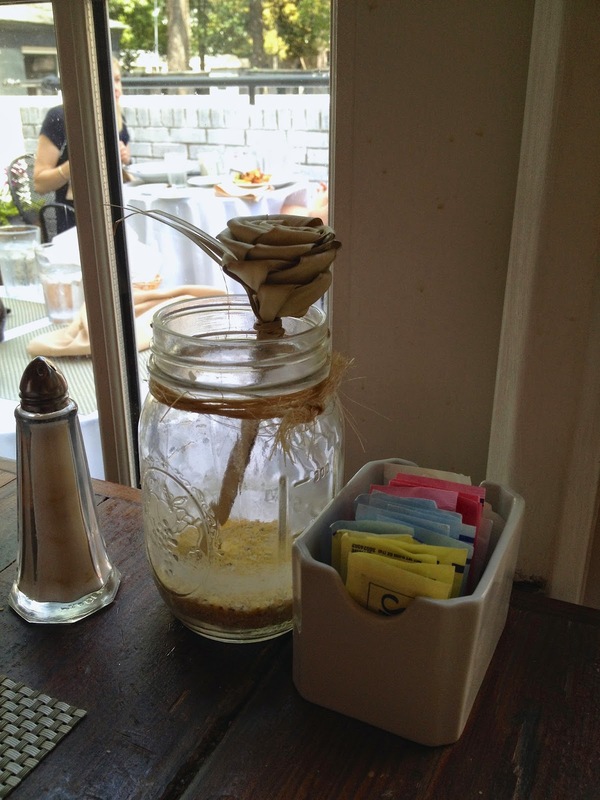 One of the things that really impressed me about Husk was their devotion to organic and locally sourced foods. 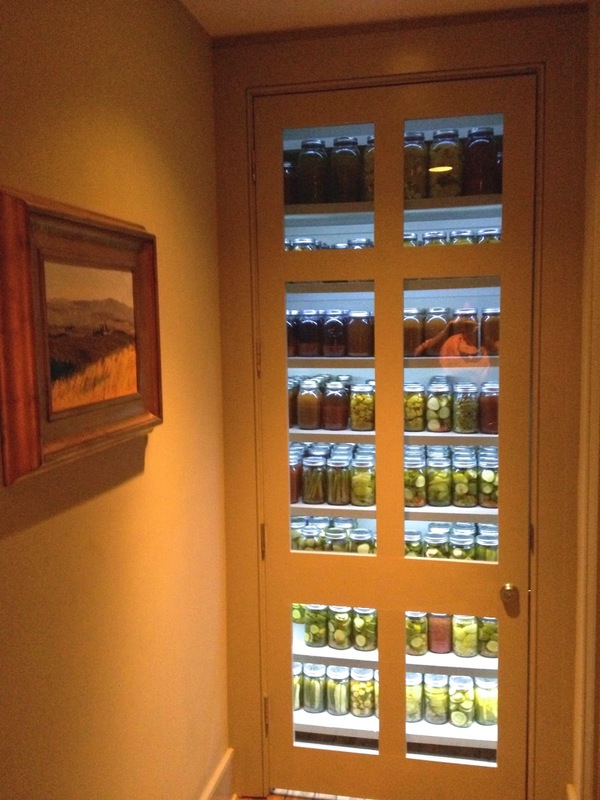 Much of their menu contains options with pickled ingredients that Husk pickles themselves. There is also a huge board in the entry with descriptions of where all ingredients on the menu that day can be sourced. 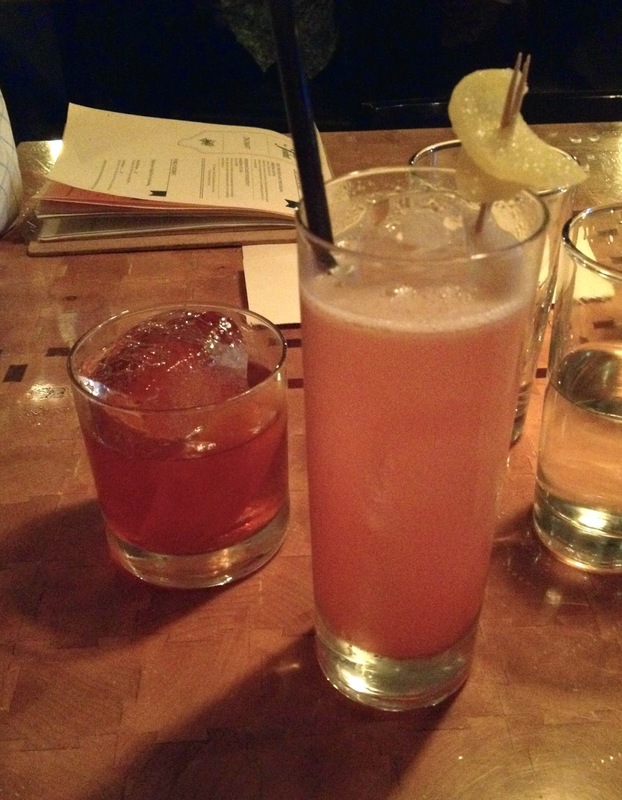 Saturday night, before meeting Cambron and her beau, we grabbed drinks at Gin Joint which was across the street. 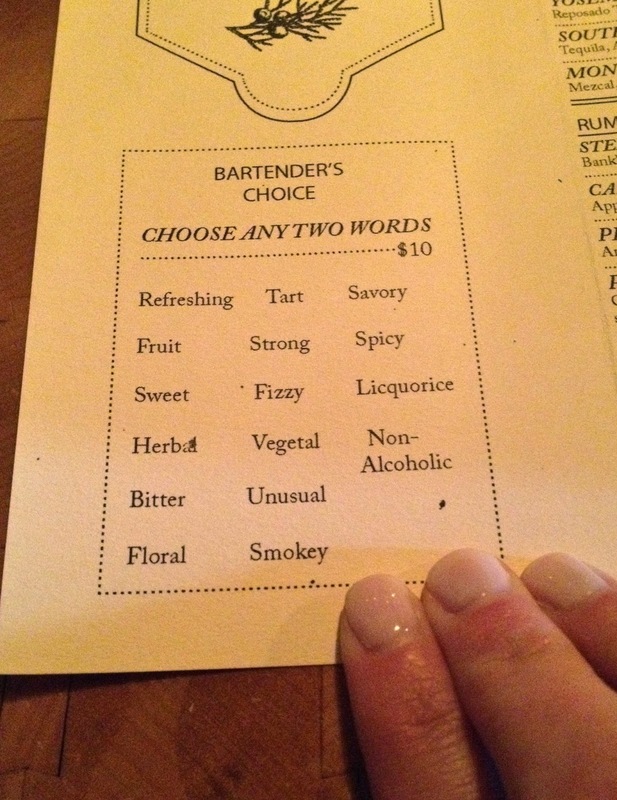 I was excited to try it, because I had heard about their "Bartender's Choice" cocktail, where you get to choose two adjectives from a list and are surprised with a drink. I chose fizzy and refreshing and received the Floradora Cocktail with candied ginger as a garnish. 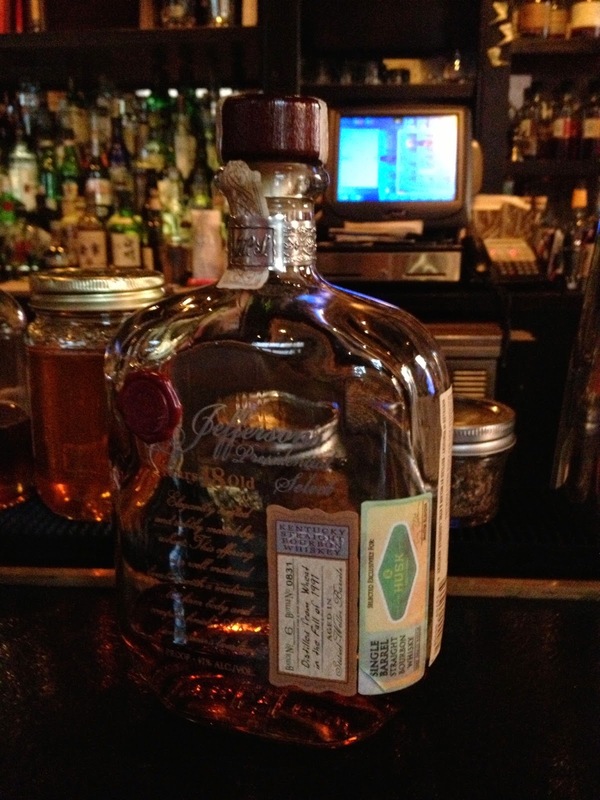 Bryce ordered their Cask Strength Old-Fashioned and I also treated him to a shot of the Pappy Van Winkle 23 Year. Sunday night, before heading to The Macintosh, we decided we would just pick a place at random on King Street for a cocktail. I suggested Closed for Business when I saw that they had a large selection of draught beers. Bryce really enjoyed it because they had many of his favorite, rare beers. I thought the atmosphere was also very cool. 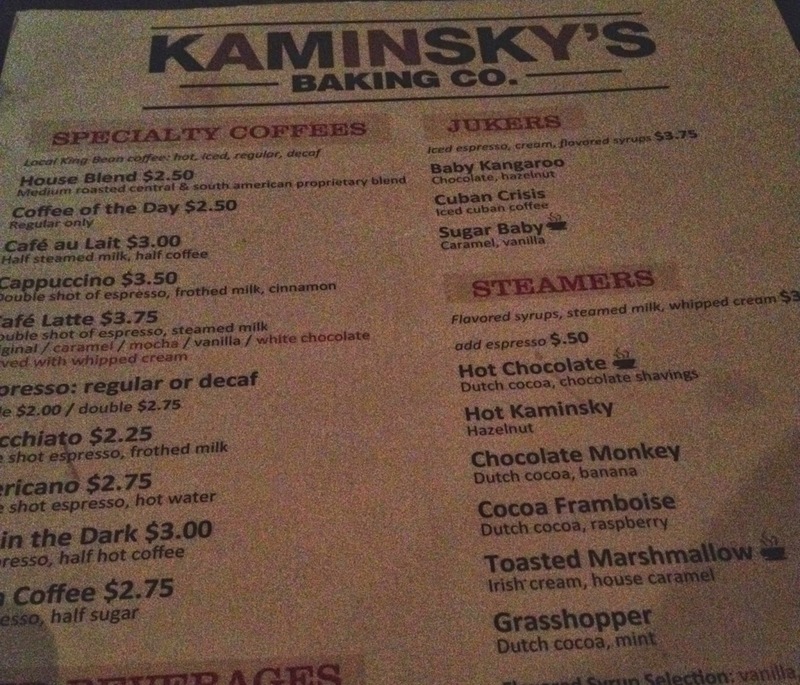 Our last night, after eating at Husk, we walked to the dessert bar Kaminsky's. In addition to a menu with dessert martinis and sweet treats, they also have a case filled with different pies and cakes. I had the cookie sundae and Bryce had pineapple upside down cake! It was a fun atmosphere, and I'll just say walking home afterwards was necessary. We were so full and a walk definitely helped! So there you have it! 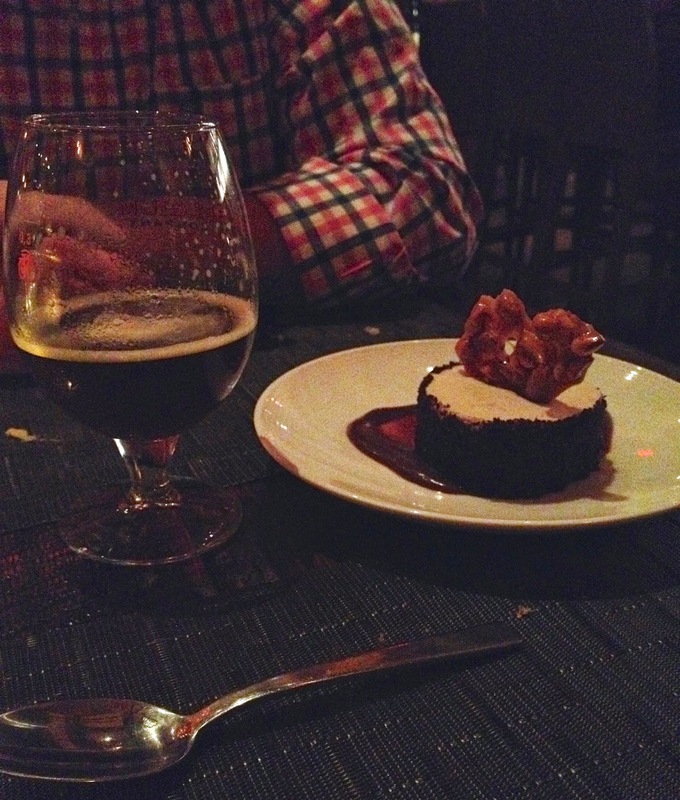 As you can see, we certainly did eat and drink our way through Charleston! Have you ever been to any of these restaurants? 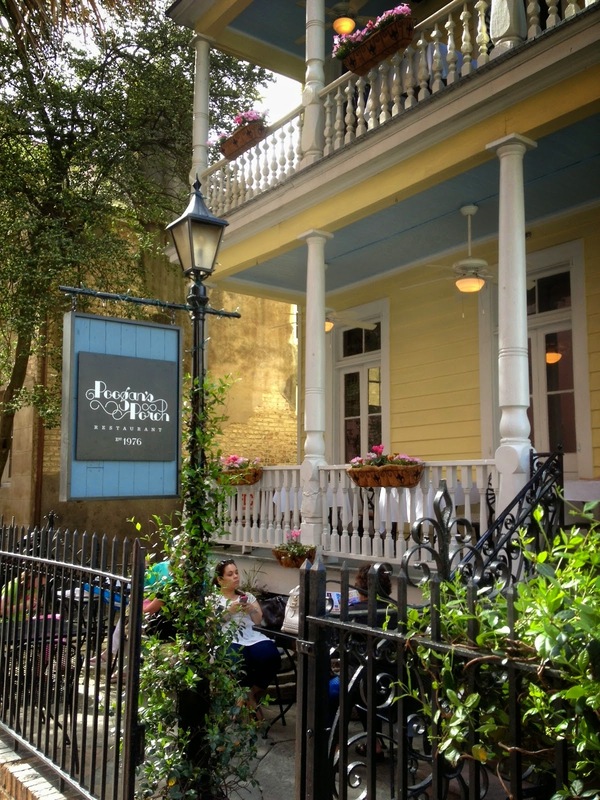 Have any other favorite Charleston spots? We are already discussing another Charleston getaway and I'm sure that will be full with a slew of other amazing restaurants! For a full recap of our Charleston trip (ie: to see what we did when we weren't stuffing our faces), click here! Allie, you certainly hit some of my favorite spots! 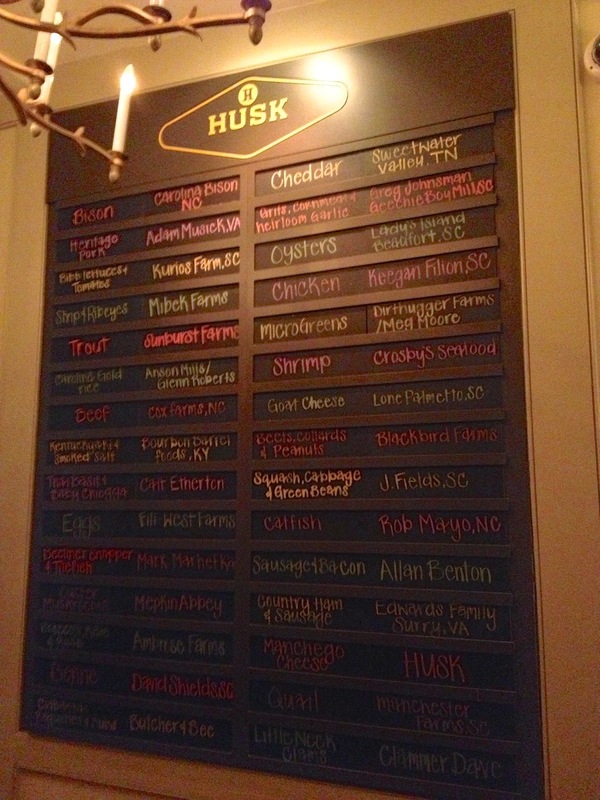 We have been dying to try Husk!!!! Your reviews were great! Happy weekend! Yum, I'm getting so hungry reading these! I'm sorry you didn't absolutely love Magnolias! 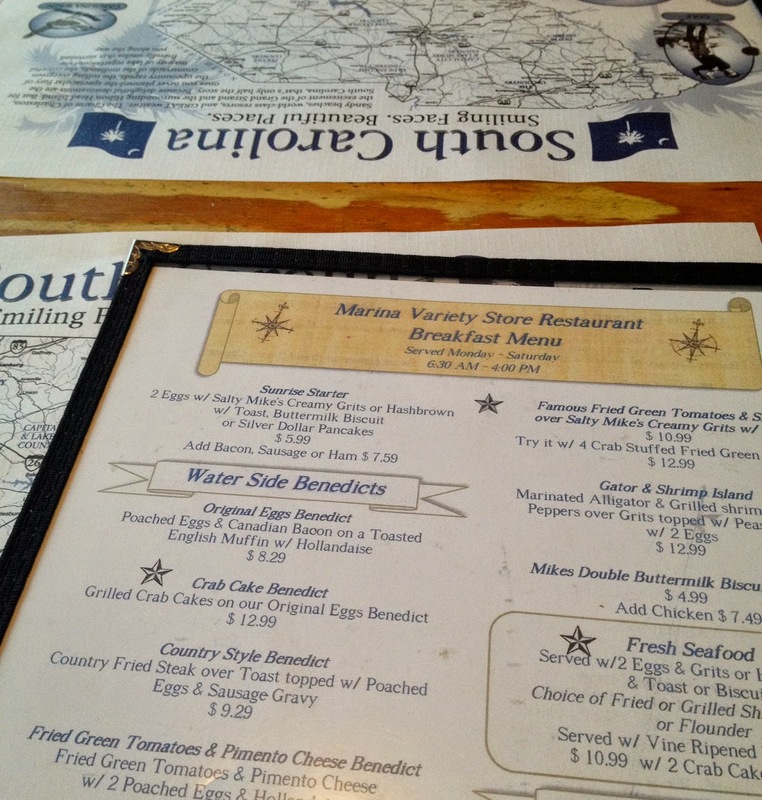 I think they are better known for a lot of their seafood meals and the shellfish over grits is one of my absolute favs! My family and I went to O-Ku last night and if you're a fan of sushi, I highly recommend it! They do half priced sushi Mon, Wed, Friday so I know I'll be back one of those nights for a good deal on great sushi! I've been wanting to try Hominy Grill for a while but since they don't take reservations, I'm always worried about a long wait. One of these days we'll get there... Also, so glad you liked Poogan's- it is now one of my go-to's for when company is in town. I just love the atmosphere of the little home that it's in and the biscuits... yum! Let me know next time y'all are back and we will def have to plan a double date!! You picked some of my faves! 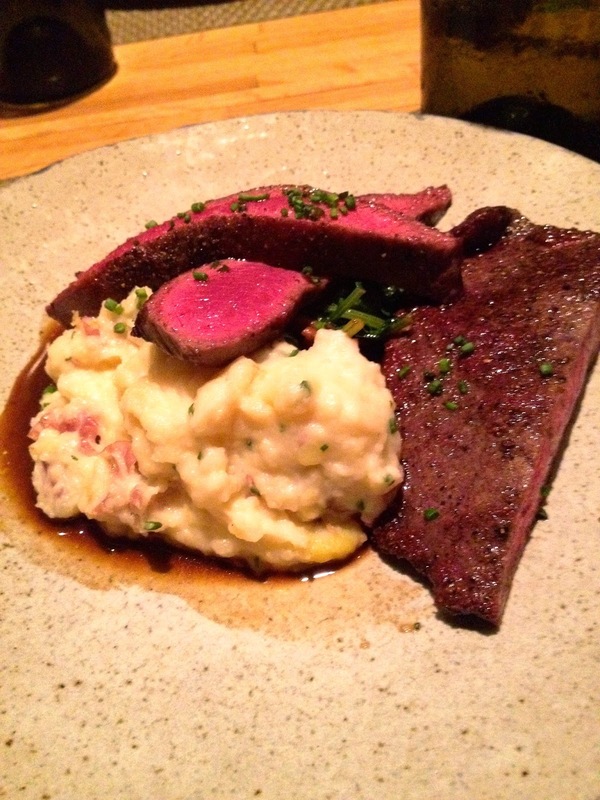 I still haven't been to Macintosh, but am looking forward to our upcoming reservation! The mussels from Rue are to die for! Most of these places I haven't tried! 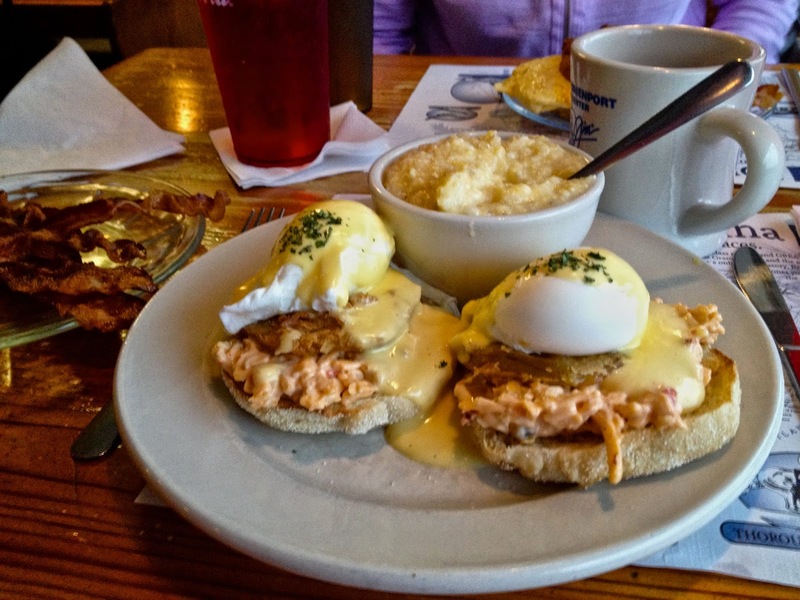 That's the thing about Charleston -- so many great places to eat! Closed for Business is a lot of fun too! I'll definitely be referencing this the next time I'm back in Chuck! 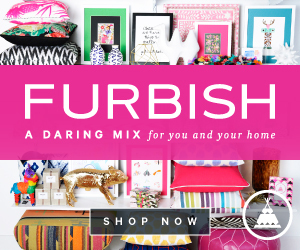 Loves this post and I would totally use this list if I ever visit! thanks for sharing! Holy moly y'all went just about everywhere ha. 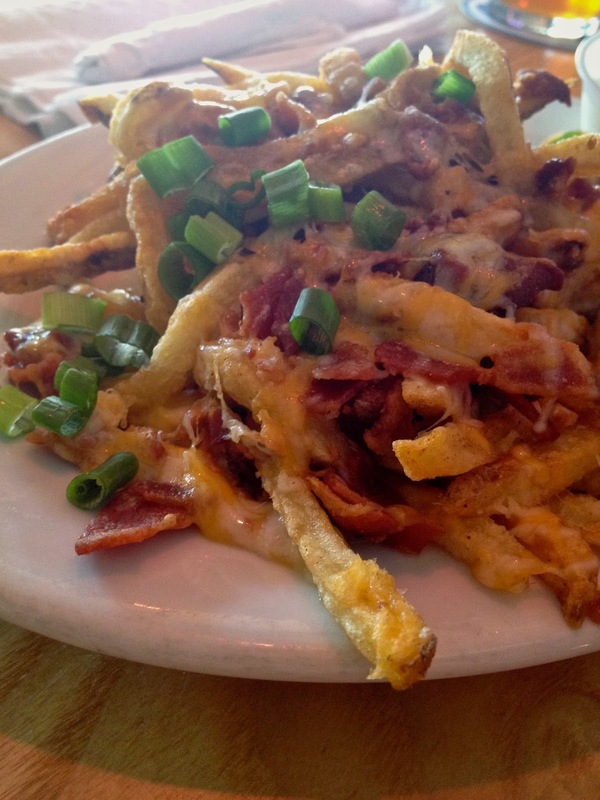 You'll have to try Cypress next time - it's a favorite! 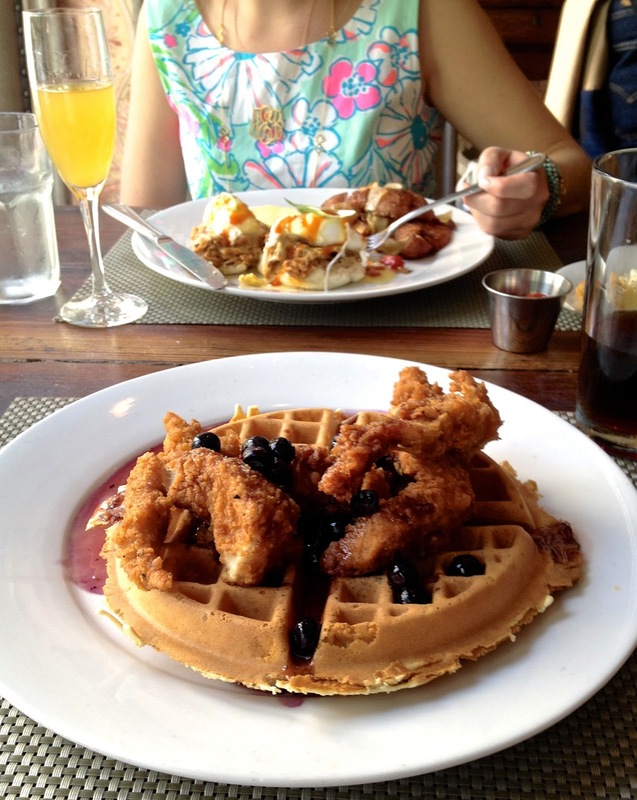 And Fat Hen (on the way to Kiawah but not too far from downtown) has an amazing Sunday brunch (voted the best every year). Have a great weekend! Wow! It looks like you all got to eat at some seriously delicious places. I haven't been to Charleston since I was a kid, but your posts have been inspiring me! Have a lovely long weekend! Soo glad I read this after dinner ;). YOu all ate at some good ones. 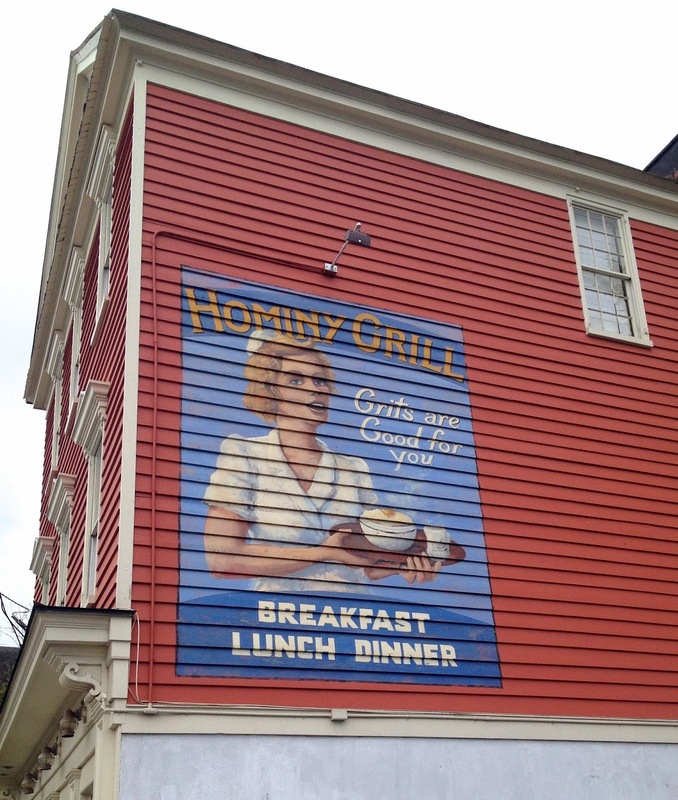 I've eaten at Hominy Grill, but that is the only one. Now I really want to go to Charleston! We are planning on going to Charleston for our anniversary in a few months and this is the perfect list to bring with us!! 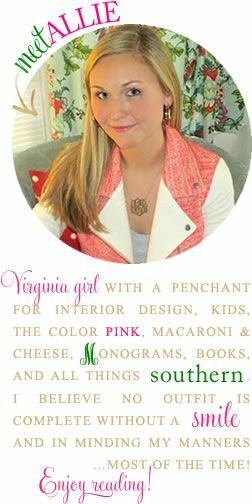 I will definitely use this guide when I make it to Charleston! So informative. I have heard mixed reviews about Husk so it's interesting to see your take. 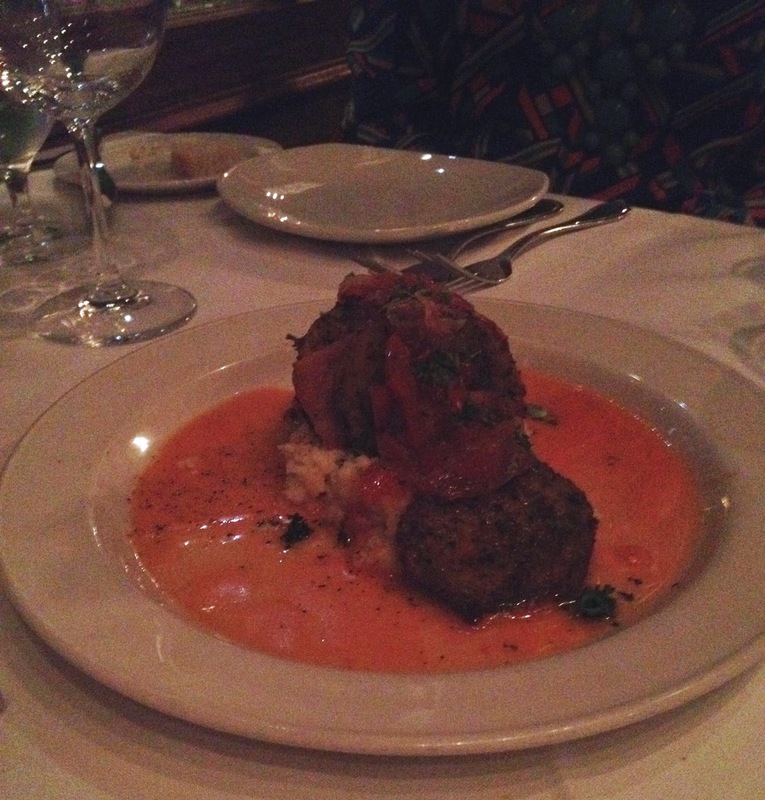 The fare looks similar to what my mom and I ate in Savannah, lots of seafood and shellfish and great desserts. 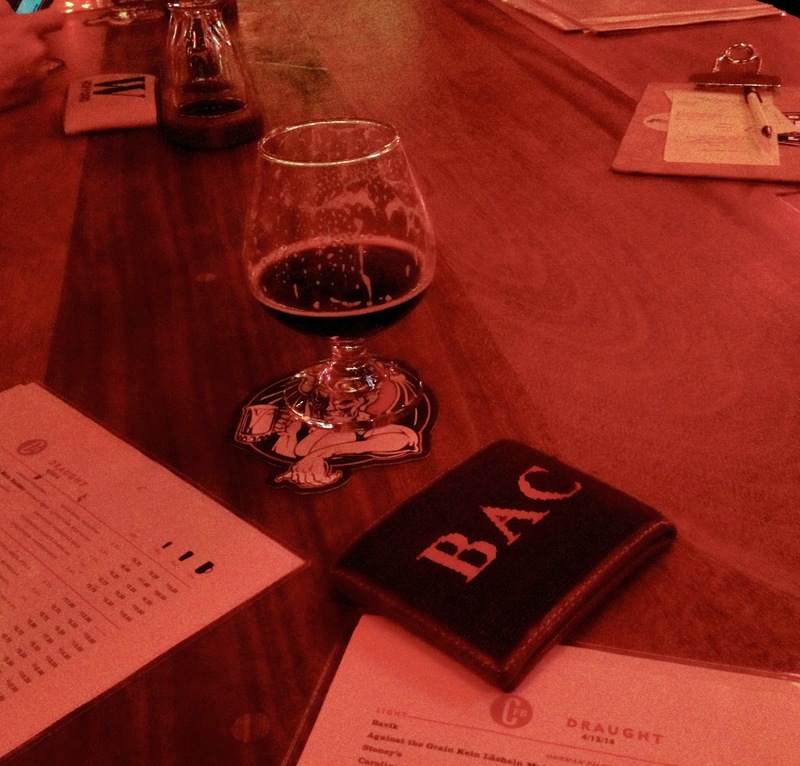 Some of the bars look like they such cool atmospheres. Can't wait to check it out! This has been the most wonderful guide while I've been here this summer! Definitely had some wonderful experiences! I'm adding some of my new eats and treats on my blog within the next few days! 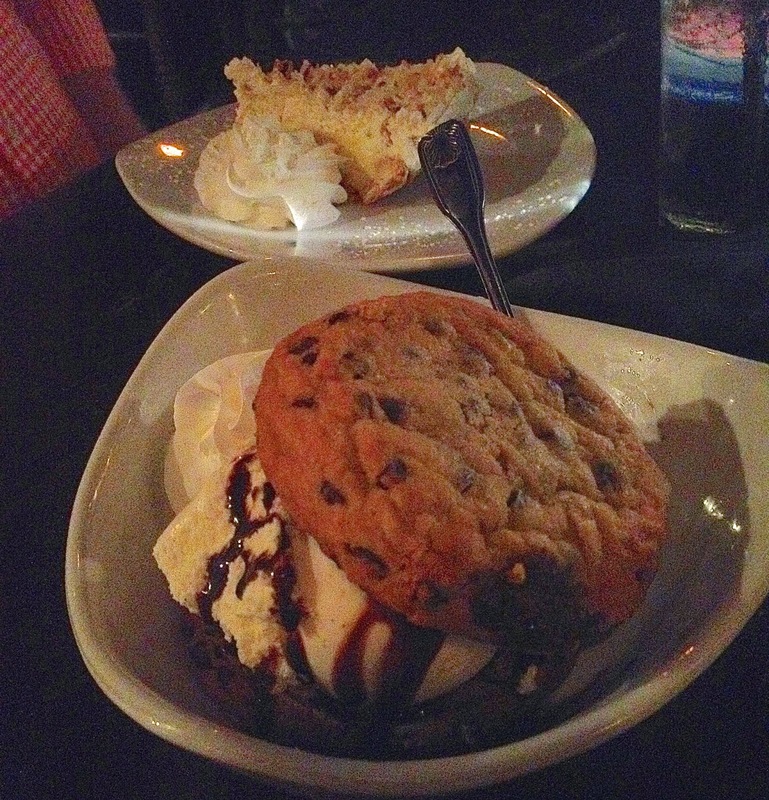 Still trying to decide on where I want to go to eat for my birthday...Charleston has lots of great places for sure!